For laptops, CD players, mixers, etc. Special DJ stand that offers many adjustment options. 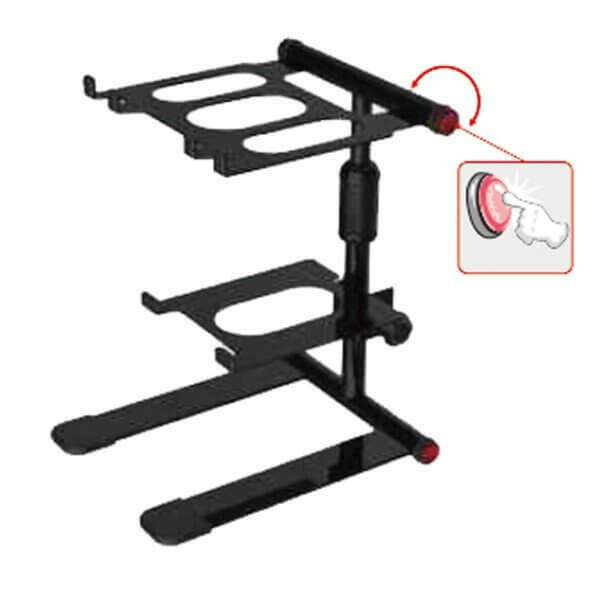 The top plate is tiltable, height adjustable and can be rotated at 360Â°.